Produktinformationen "FLIR ONE™ Pro Thermal Camera GEN 3"
Using the FLIR ONE Gen 3 thermal camera, students can reveal the hidden world of infrared vision. 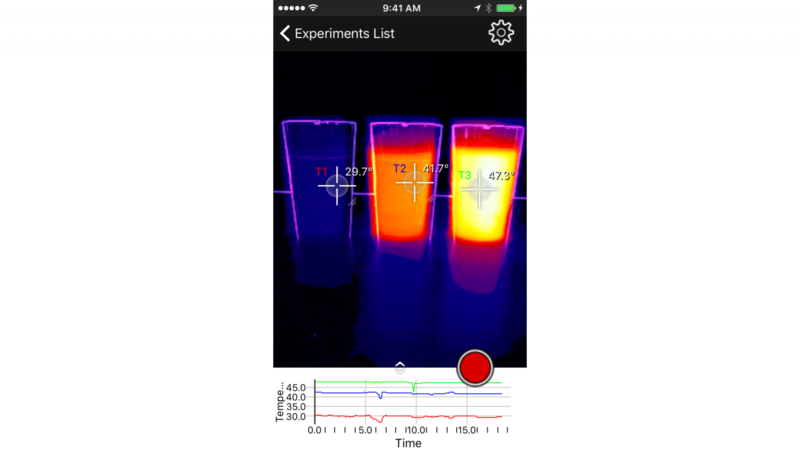 In late 2017, our Vernier Thermal Analysis® app will be compatible with this new generation of camera, allowing students to collect temperature vs. time data for up to four spots or regions, along with a thermal image video. 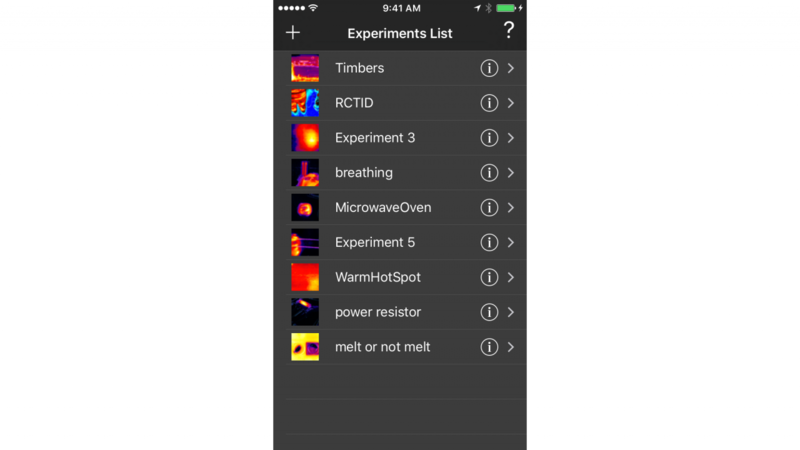 The FLIR ONE Pro can measure temperatures up to 400°C (752°F) and features a larger field of view and more pixels than the FLIR ONE Consumer version. 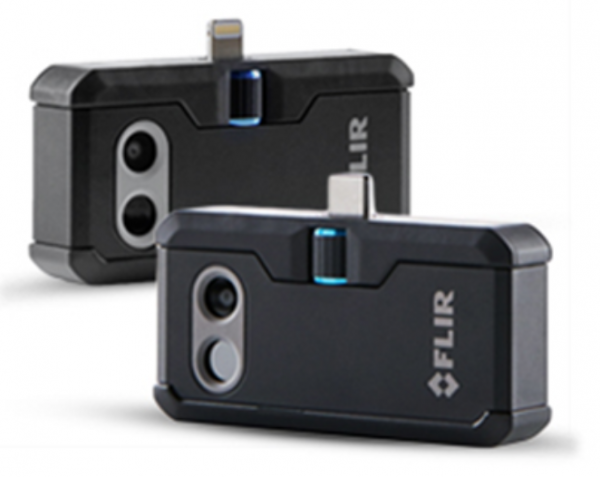 The FLIR ONE Pro Thermal Imaging Camera uses Vivid IR® image enhancement for superior image quality. 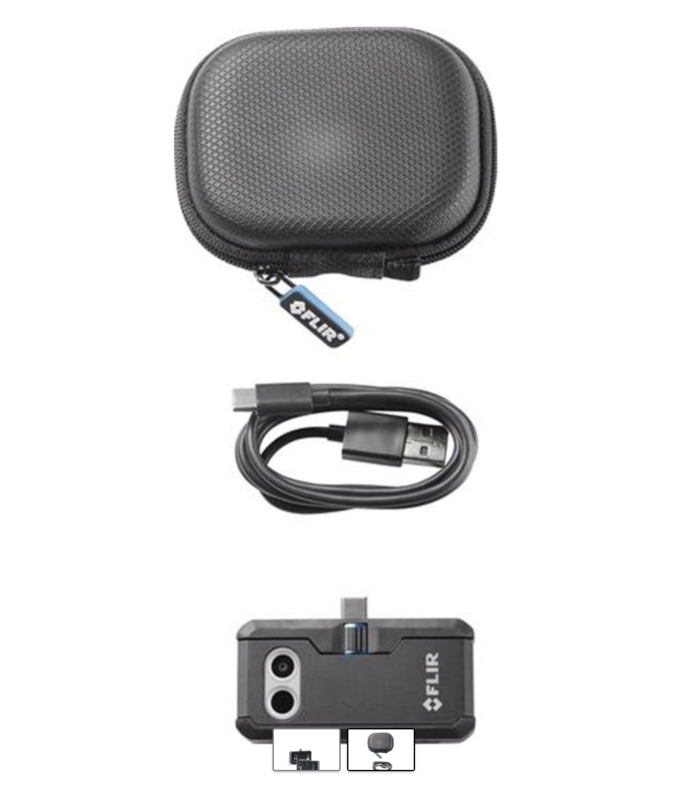 This camera features a rugged case, extra 5° of field of view, and four times the pixels of the FLIR ONE 3rd generation Consumer version. FLIR ONE Pro for iOS easily connects to an iPhone®, iPad®, or iPod® touch with a Lightning® connector. 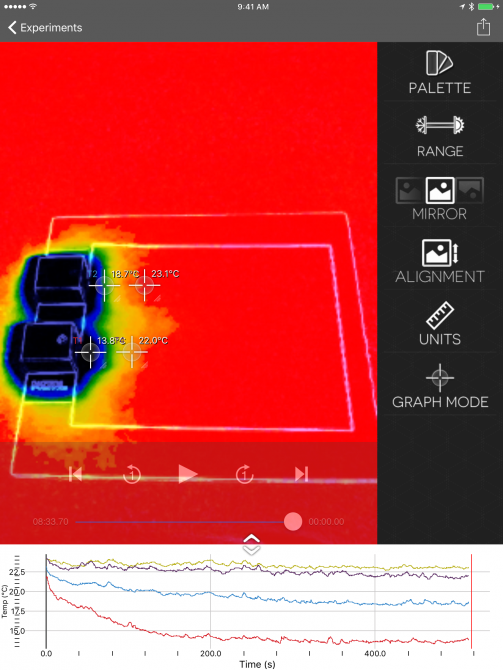 Our free Thermal Analysis app allows you to mark up to four locations or regions on the image. In a selected region, you can determine minimum, maximum, or average temperature. 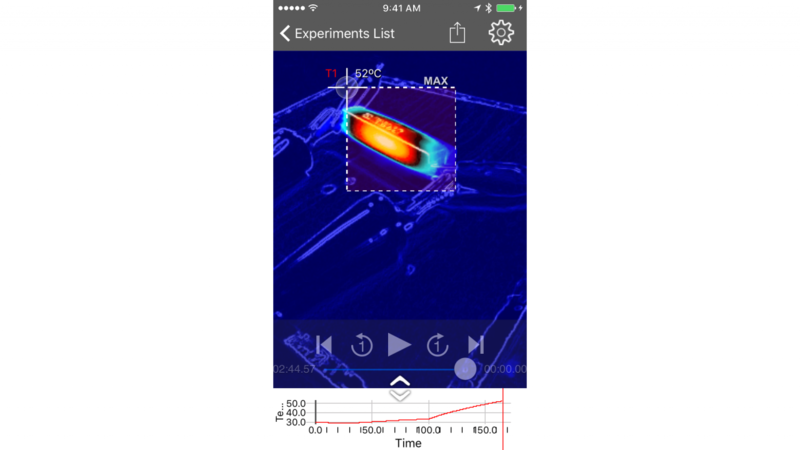 Graph temperature data live during an experiment, then export to our Graphical Analysis 4 app for further analysis. 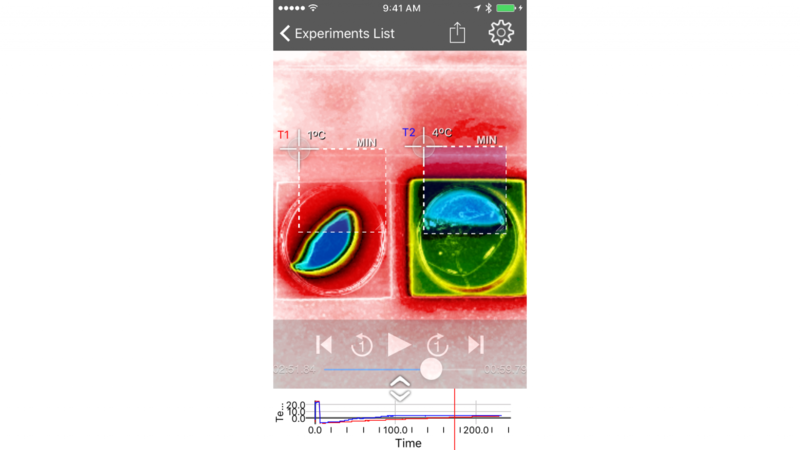 Thermal image videos can also be exported to the Photos app. Weiterführende Links zu "FLIR ONE™ Pro Thermal Camera GEN 3"
Garantie(Jahre) "FLIR ONE™ Pro Thermal Camera GEN 3"
Videos "FLIR ONE™ Pro Thermal Camera GEN 3"
System Anforderung "FLIR ONE™ Pro Thermal Camera GEN 3"
Weitere Info "FLIR ONE™ Pro Thermal Camera GEN 3"
Software Apps/Umgebungen "FLIR ONE™ Pro Thermal Camera GEN 3"
Kundenbewertungen für "FLIR ONE™ Pro Thermal Camera GEN 3"